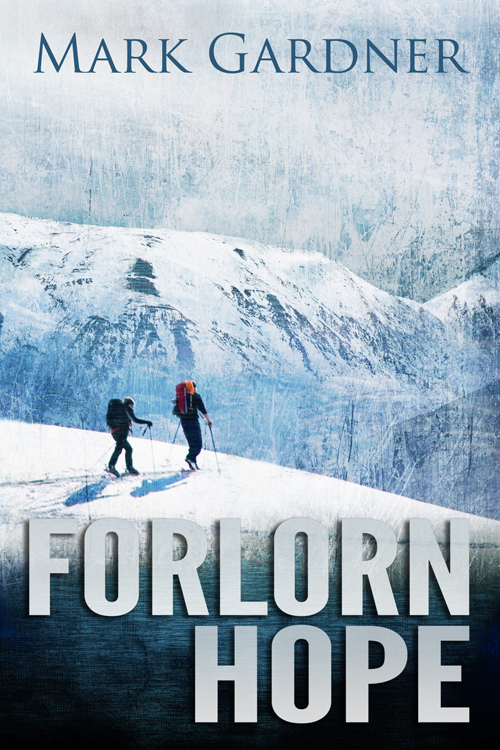 I am working with a professional graphic designer for the Forlorn Hope cover and back matter. A few beta readers indicated the existing cover didn’t quite convey the story. Since the story is about a husband and wife scientist team traveling to Yellowstone National Park in a quasi post-apocalyptic frozen wasteland, having four people on the cover didn’t make sense. The designer has sent me this mockup with the extra people removed. It looks pretty awesome. She is working with me right now to get the back cover for the paper version done. I feel fortunate to work with such a wonderful artist. Forlorn Hope was the most enjoyable write of all my works thus far and the cover design is also very enjoyable. I’m not dissin’ on the covers I did for the Body Rentals stories, but Forlorn Hope (to steal a popular phrase) is kicking it up a notch. For those of you who received the limited edition of Busted, and those of you who checked out the multimedia tab, you know Greg Banks did an alternate cover for that story. I contacted Greg this morning and let him know I really want the cover for the story after Forlorn Hope to be done by him. He’s amicable to doing a new cover and I’m excited about that. This entry was posted on Saturday, August 10th, 2013 at 17:41	and tagged with Forlorn Hope and posted in Book Stuff. You can follow any responses to this entry through the RSS 2.0 feed.